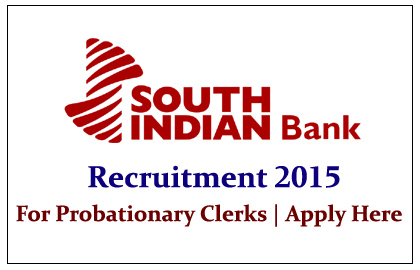 South Indian Bank has announced official notification for the recruitment of Probationary Clerks. Eligible Candidates can apply for this post before 23.02.2015. Eligible Candidates can apply online through the link given below or in the banks website:www.southindianbank.com.